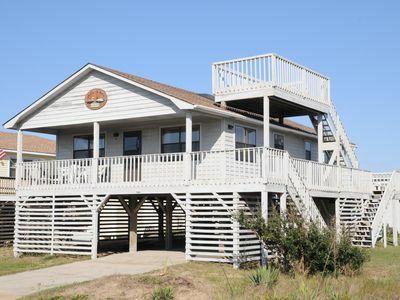 Rent this lovely oceanfront cottage the week of June 10 or June 17, 2017 at a special rate of $2095 + tax. 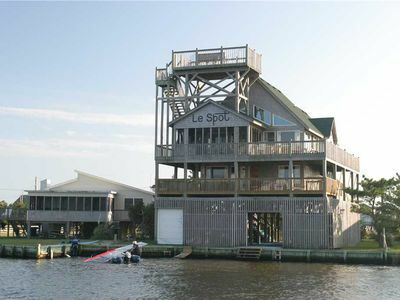 To reserve, please call (252) 441-7331 anytime. 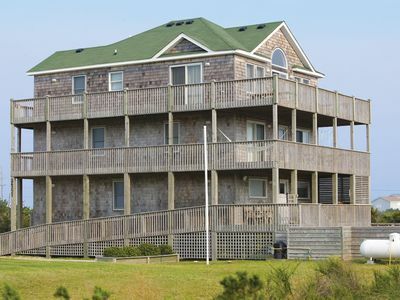 Take 20% off when you stay from now thru the night of May 13, 2017 for 2 or more nights on any: Sunday, Monday, Tuesday, Wednesday or Thursday night. This special offer is not valid for any holiday or special event stay. 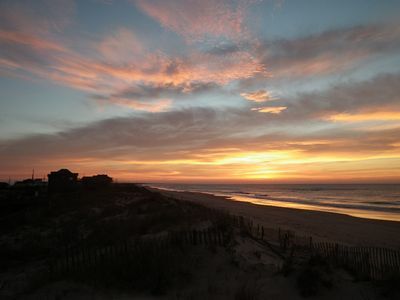 For nightly rates, please call (252) 441-7331 anytime. 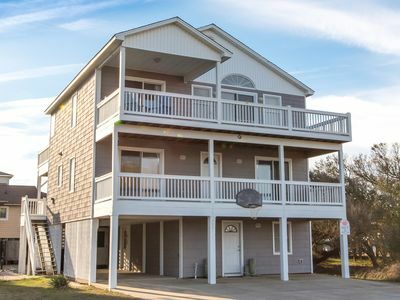 Guests will enjoy this newly renovated oceanfront rental--it has just undergone a complete renovation from the insulation to the floors to the furniture! 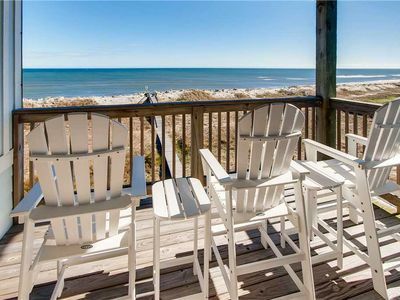 This nonsmoking, 2 bedroom oceanfront cottage has views of the ocean as well as the beach. One bedroom has a king bed and the second bedroom has 2 queen beds. 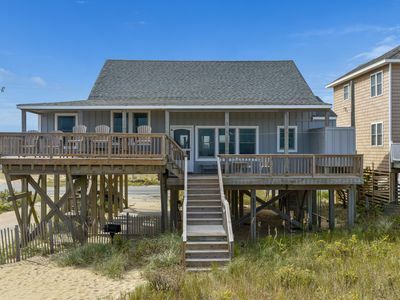 There is a bathroom as well as a living room/kitchen (also all new) and an oceanfront deck. The kitchen now includes a dishwasher as well as a stacked washer/dryer. 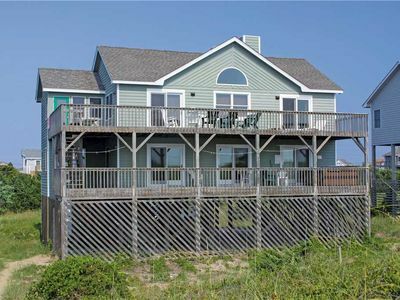 This cottage has wood flooring in the living room/hall, tile flooring in the kitchen and bathroom and carpeting in the bedrooms. Each bedroom has a flat screen TV and the living room has a wall mounted flat screen TV. 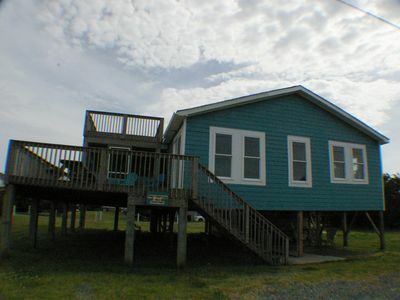 This cottage does has free wireless internet as well. Linen/towels (sheets, towels and pillowcases) are provided for your stay but not refreshed. 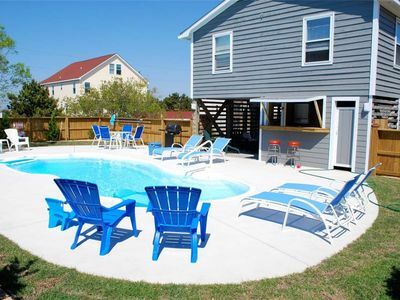 Guests may use the outdoor pool located at our adjacent property where you pick up your keys. 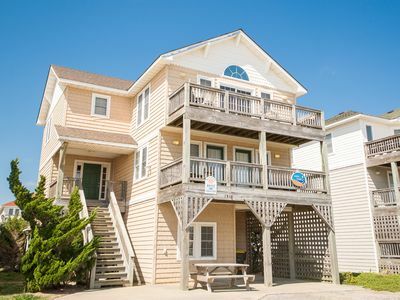 If you need more room, also rent the first floor unit (vrbo #20450) at the same time. 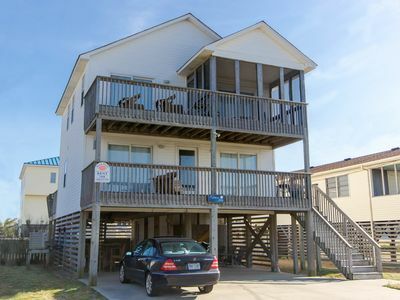 It has an identical floor plan to this rental--and then you'd have 1 large rental together. 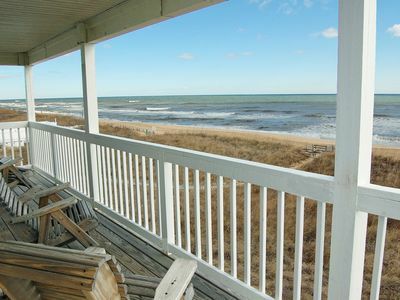 During the summer months this oceanfront cottage is a Saturday to Saturday rental. 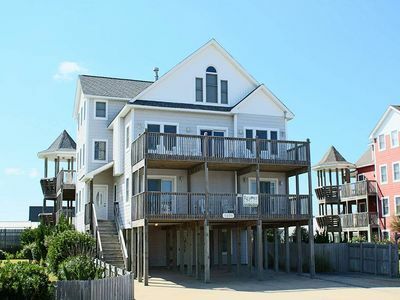 In the spring, fall and winter it may be rented nightly (minimum night stay required). Please call or e-mail for nightly rate/stay information. 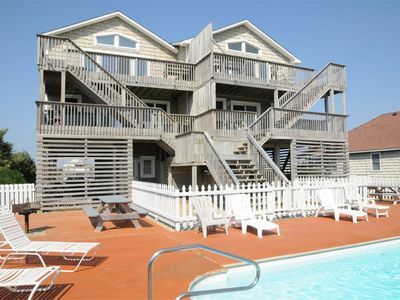 Rates are subject to change and special event or holiday rates may apply. 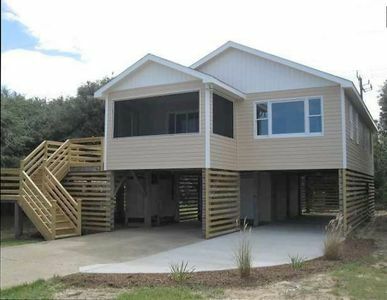 All guests must be 21 years of age or older to occupy this cottage unless they are a family unit.